The LCD160CRv1.0 will have pre-soldered right-angled female headers to plug on the side of a Pyboard. 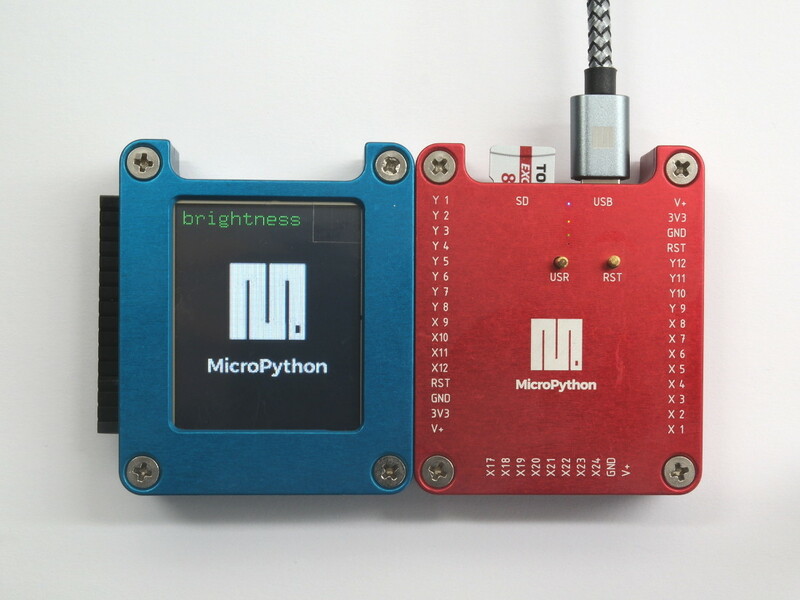 The MicroPython online store will have them (LCD160CR with side headers & aluminium housing with top opening) after some user documentation is ready. Hope this teasing will be brief and we can buy the kit ASAP. note that it includes "2x 16-way right angled female header pins (for connecting to a pyboard in a housing with closed lid)". which includes "right-angled male headers; 2 of 16-way and 1 of 10-way (not pictured)".